Founder Abby Larson, jumped head first into the wedding industry, launching a line of wedding invitations called Abby Jean. After three years, she sold her wonderful little company to Fontaine Maury who could take the brand on to bigger and better things. As a way to stay connected to the industry, she started Style Me Pretty….a chic blog for the style obsessed bride. Style Me Pretty is a style savvy wedding resource devoted to inspire you with “Real Weddings”. They post thousands of real weddings which you can sort by style. Whether you want a vintage wedding or a nautical one, they’ve got it all there. They also have Seasonal wedding trends, vendor guide, DIY projects and “The Vault”, where you can explore millions of stunning wedding images to help inspire and plan your perfect day. Amanda is the founder of Ruffled. She started the blog with her own wedding. Ruffled is a wedding blog for stylish brides and creative couple. They also have real weddings that you can filter by colors, category and style. Ruffled is also famous for their "Honeymoon Guide" where you can get inspiration on where to spend your honeymoon with your spouse. They have DIY projects, wedding ideas, vendor guide and even a shop where you can find recycled, cheap and affordable wedding items. Alison started The Knotty Bride when she was planning her own wedding. She loves to research on anything wedding related and share it with the world. The Knotty Bride brings killer wedding inspiration, LOLz, fashion, DIY ideas, giveaways, puppy photos, relationship advice and more to inspire you and brighten your day. They also have a boudoir section for those who wants to be knotty, i mean, naughty. You can also check out their vendor love for their list of wedding guides. Kristina Meltzer, Amanda Dawbarn and Jillian Clark is a family blog that wants to inspire readers' lives even after the last bits of wedding confetti have been swept away. Launched in 2009, 100 Layer Cake is not just your ordinary wedding blog but also a family blog where you can get inspirations for baby showers, kiddie parties, etc. They also cater to other party and wedding ideas. They have a great marketplace where you can either sell your product or buy from someone else. They also have a shop where you can buy wedding dress, wedding gifts, and even your honeymoon attire. Former lawyer and bride to be Julia founded Brides Up North with a chip on her shoulder. Frustrated by the poor Northern presence in glossy bridal magazines and online, she decided to do something about it herself. After months of prep and planning, Brides Up North launched in November 2010 amid wedding fever on the day that the Royal Engagement was announced. 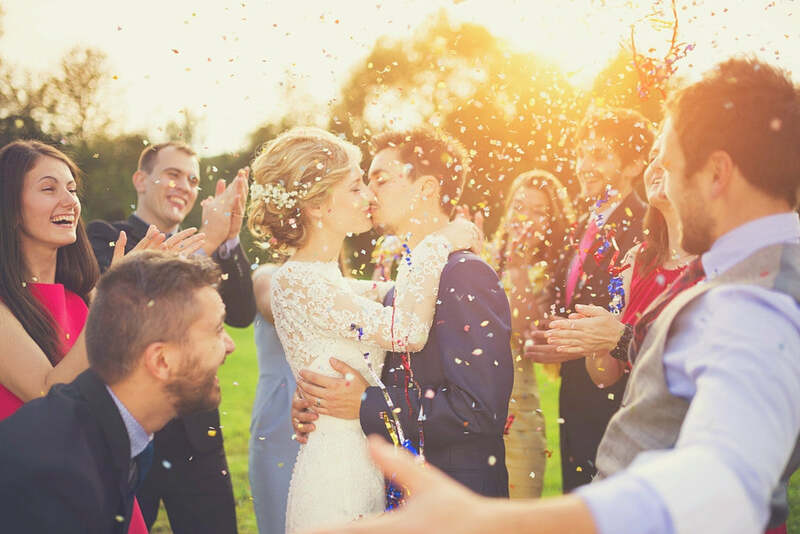 In the five years since then, the site has skyrocketed in popularity and profile to become one of the most visited UK wedding blogs. Brides Up north is one of UK's Best wedding blogs. They feature real weddings from the UK and also give discounts, giveaways, supplier showcases, bridal fashion features and more. They also do wedding fairs if you're in North England.